Prepare for landing! Our Aviator TV Lift Cabinet has arrived! The Aviator is the newest arrival to our trunk collection. This cabinet features brushed nickel over a solid Caribbean pine wood frame. It is beautifully accented with rich leather trim and brushed nickel nail heads. All the nail heads are hand hammered creating a truly one of a kind cabinet! 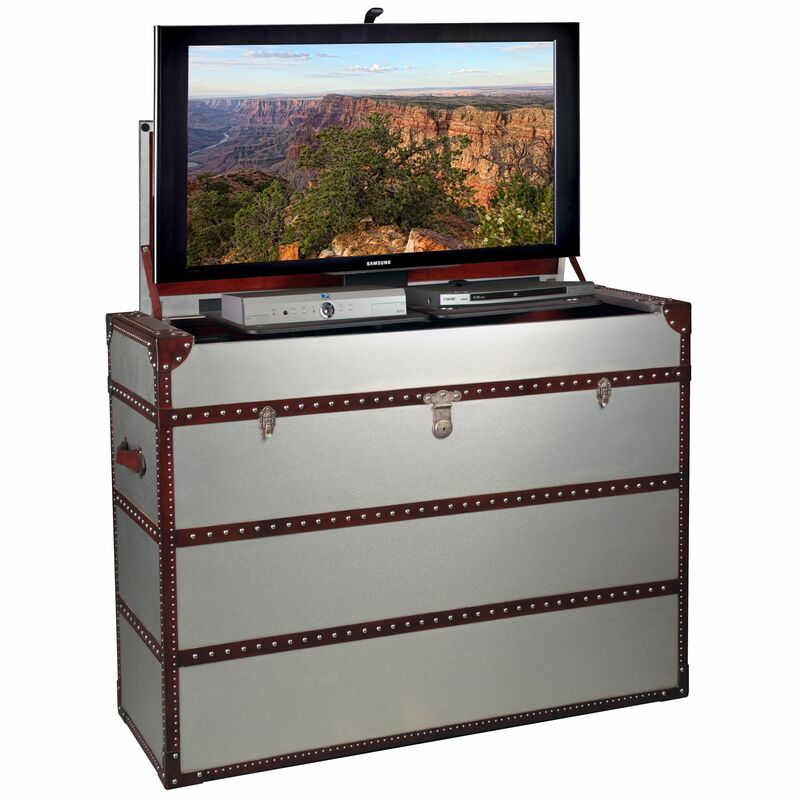 The Aviator features a two tray lift machine with room for flat panel TV and two electronics. The electronics tray is located directly below the TV tray and rides up with TV. The lift includes three power outlets for your TV and two pieces of AV equipment. The Aviator can house most 32”-47” TV’s.